The Man Booker International Prize Longlist is here! ‘Tis the season for sensational book awards, beloved patrons, and yesterday, the longlist for the Man Booker International Prize, which celebrates the best novels written in a language other than English, and the translations that makes them accessible to us as English readers. The £50,000 prize is split between the winning author and translator. This years’ list is a celebration of independent publishers, women’s voices, and diverse forms of story-telling, and we can’t wait to add these books to our reading lists! This was a year when writers plundered the archive, personal and political. That drive is represented in our longlist, but so too are surreal Chinese train journeys, absurdist approaches to war and suicide, and the traumas of spirit and flesh. We’re thrilled to share 13 books which enrich our idea of what fiction can do. The shortlist for this award will be announced April 9th and the winner will be announced May 21st. This will, incidentally, also be the last year that the prize is known under this title. Next year, the prize will be known as the International Booker Prize, as the sponsorship from the Man Group comes to an end and the prize’s new sponsor, Crankstart, begins. We’ll be bringing you all the highlights and announcements, as ever. Just so you know, where these books are available, links have been provided to the NOBLE catalog. Otherwise, information on when the title may be available is provided. You can always check with your friendly public service staff for further information. And now, without further ado, here is the 2019 Man Booker International Prize Longlist! Marion Poschmann (German / German), Jen Calleja, The Pine Islands This title is currently unavailable–please check back later for updates. Sara Stridsberg (Swedish / Swedish), Deborah Bragan-Turner, The Faculty Of Dreams This title is currently unavailable–please check back later for updates. Tommy Wieringa (Dutch / Dutch), Sam Garrett, The Death Of Murat Idrissi This title is currently unavailable–please check back later for updates. An enormous Free-For-All congratulations to all the nominated authors and translators! The Women’s Prize 2019 Longlist is here! Over the years, the Prize has had several sponsors, the most recent of which was Bailey’s. From 2018, however, the prize has moved to a collaborative sponsorship model, which means that it is now just “The Women’s Prize for Fiction,” and we must admit, we like that name! This year is a banner one because, for the first time in the Prize’s 27-year history, a non-binary transgender author has made the shortlist. Thirty-one-year-old Nigerian author Akwaeke Emezi is nominated for their first novel, Freshwater, which is being hailed on both sides of the Atlantic. Emezi, who does not identify as male or female and lives in Brooklyn, and is in good company among seven debut authors on the longlist. “It is a historic moment,” Professor Kate Williams, chair of judges, told the Guardian. “We’re very careful not to Google the authors while judging, so we did not know. But the book found great favour among us, it is wonderful. They are an incredibly talented author and we’re keen to celebrate them.” We are, also delighted to confirm that Emezi is very happy with their inclusion on the Women’s Prize Longlist. The shortlist of books for the Women’s Prize will be announced on April 29, and the winners will be announced on June 5. We’ll be eagerly waiting to bring you more details about this fabulous prize as they are announced, but for now, here is the list of nominated titles. Where available, links are provided so you can request the book and get reading. When possible, we’ve also included the US publication date for titles not yet released here. A hearty Free-For-All congratulations to all the nominated authors! The 2018 National Book Award Winners! On Thursday, November 15, the National Book Award winners were announced in New York, in a ceremony hosted by Nick Offerman. In addition, writer Luís Alberto Urrea presented the Medal for Distinguished Contribution to American Letters to Isabel Allende, saying in his presentation that “Isabel is calling us to believe in words of love, words of witness. You can’t build a wall to keep them out. You can’t lock them up. She has taught us that words have wings. They fly over barriers, and they sing all over the globe.” Hidden Figures author Margot Lee Shetterly presented Doron Weber with the Literarian Award for Outstanding Service to the American Literary Community. Weber is the vice president and program director for the Alfred P. Sloan Foundation,which runs a program for Public Understanding of Science, Technology & Economics, which supports projects that bridge science and the arts (check out the link–it’s a pretty amazing place!). Then came the announcement of the Winners of National Book Awards in the categories of Fiction, Nonfiction, Poetry, Translated Literature, and Young People’s Literature. We are pleased to list the winners below, with links to their NOBLE catalog entries. Come into the Library and check out these award-winning books for yourself! Congratulations to all the National Book Award Winners–we can’t wait to start reading! We’d like to take a moment to congratulate Northern Irish author Anna Burns, who was awarded the 50th Annual Man Booker Prize on October 16 for her novel Milkman! Burns becomes the first Northern Irish author to win the award, and the first female winner since 2013, when Eleanor Catton took the award with The Luminaries. 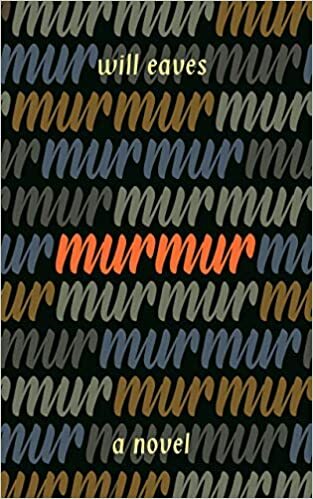 Burns drew on her memories of living through The Troubles in Northern Ireland to craft a story about middle sister in an unnamed city as she navigates her way through rumor, social pressures and politics in a tight-knit community. Burns shows the dangerous and complex outcome that can happen to a woman coming of age in a city at war. None of us has ever read anything like this before. Anna Burns’ utterly distinctive voice challenges conventional thinking and form in surprising and immersive prose. It is a story of brutality, sexual encroachment and resistance threaded with mordant humour. Set in a society divided against itself, Milkman explores the insidious forms oppression can take in everyday life. In addition to her prize money and public recognition, the Royal Mail is issuing a congratulatory postmark featuring the winner’s name, which will be applied to millions of items of stamped mail nationwide for six days from 17 October. 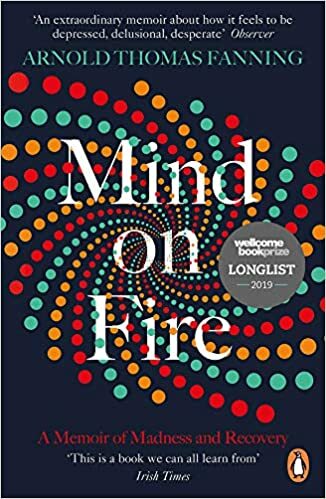 It will read ‘Congratulations to Anna Burns, winner of the 2018 Man Booker Prize’. We here at the Free For All would like to add our congratulations to Anna Burns. Milkman will shortly be available in the US, and we cannot wait to get our hands on it! Announcing the winner of the Alternative Nobel Award! As we reported here in September, there will be no Nobel Prize for Literature in 2018. Following a series of cover-ups, discrediting disclosures and allegations of sexual harassment and misconduct, the board was taking a hiatus. In its place, a New Academy organized to award an Alternative Nobel this year, with input from the public. Today, we are delighted to announce that Guatemalan author Maryse Condé has been awarded the 2018 Alternative Nobel prize! Conde will win about £87,000 raised from crowdfunding and donations, and will receive the prize at a ceremony on 9 December, one day before the Nobel banquet. It is our honor to congratulate Maryse Condé on her award, and thank her for a lifetime of stories, honest, and compassion. The Man Booker Shortlist is Here! This year’s shortlist recognizes three writers from the UK, two from the US, and one from Canada. There are four women and two men nominated. Moreover, Daisy Johnson, at 27-years-old, is officially the youngest novelist nominated for the award. In each of them the language takes centre stage. And yet in every other respect they are remarkably diverse, exploring a multitude of subjects ranging across space and time. From Ireland to California, in Barbados and the Arctic, they inhabit worlds that not everyone will have been to, but which we can all be enriched by getting to know. Each one explores the anatomy of pain — among the incarcerated and on a slave plantation, in a society fractured by sectarian violence, and even in the natural world. But there are also in each of them moments of hope. These books speak very much to our moment, but we believe that they will endure. The winner on the Man Booker Prize will be announced on 16 October at a dinner in London’s Guildhall. Until then, we hope you enjoy perusing this shortlist! Sadly, three of the titles are not yet available to us in the US, but we’ll be bringing you updates when they do!